Clear all stages of MAYA. Clear all stages of SHION. Clear all stages of HIROKO. Clear all stages of AMI. Clear all stages of SAYA. Clear all stages of KAORI. Clear all stages of AKENO. Clear all stages of YUUKO. Clear all stages of AISIAS. Clear all stages of SERAS. Clear all stages of REIU. Clear all stages of CECIL. Clear all stages of YUKATA girls. 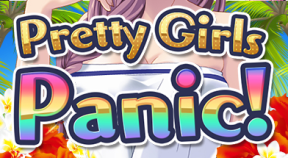 MASTER of Pretty Girls Panic! Clear all stages of characters.